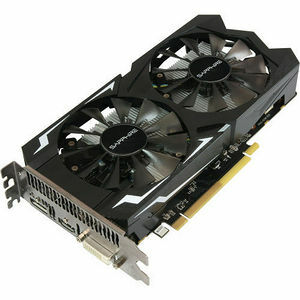 For online gamers playing most popular titles such as Counter-Strike: Global Offensive, League of Legends or Overwatch SAPPHIRE Technology introduces the new inexpensive SAPPHIRE NITRO Radeon™ RX 460 graphics card. Featuring the latest power-efficient Polaris chip and making no compromises in cooling, the new budget king of the Radeon rebellion is an affordable upgrade to latest graphics technology. Designed to perform great in massively popular online titles, the SAPPHIRE NITRO Radeon™ RX 460 promises minimum input lag and over 100 frames per second in Dota 2 or Rocket League in 1080p. Performance up to 30% better than R7 260X is the result of factory-overclocked 4th generation GCN core. The card features 896 stream processors with a boost clock up to 1210 MHz as well as 2 GB of GDDR5 video memory on 128-bit interface and clocked at 1750 MHz (7 Gbps effective speed).